Precision. That’s the word that kept coming to mind as a drove the 2014 Porsche Cayman S. This is a sports car that delivers precise performance in every aspect, from the fit of the well-bolstered seats to the crisp gear changes and glorious mid-mounted six. A colleague said the Cayman S may be “the best sports car at any price,” and he’s driven them all. My experiences are more limited than his, at least when it comes to the current crop of sports cars. But I can say this: I’ve not driven a better one. I love the look of the current-generation Cayman and Boxster. The pair – a hardtop and a roadster for the unfamiliar – look sportier than ever, thanks in no small part to the tall air intakes sculpted into the body sides. The Carrera GT-style stacked headlamps contribute to the mini-supercar look, too, as does the mid-engine architecture that allows a more forward cabin. Inside, the look is modern and equally sporty. Interior trim is top-notch, too, especially with optional two-tone leather. While some automakers are turning to touchscreens to reduce the number of buttons and switches, the Cayman S keeps a jet cockpit look with an array of controls always at your fingertips. Nowhere is the precision engineering of the 2014 Porsche Cayman S more evident than in its performance. The naturally-aspirated 3.4-liter boxer-6 produces 325 horsepower, enough to propel the 2,910-lb. car two-seater from 0-60 mph in just 4.7 seconds, and on to a blistering 175-mph top speed. Torque is ample at low engine speeds and power delivery is delightfully linear. 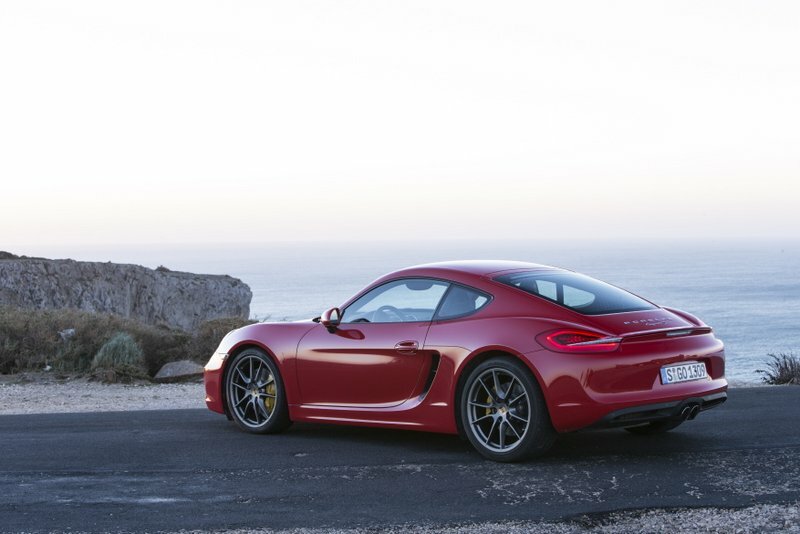 Peak torque of 271 lb-ft is available at 4500 RPM, at which point the Cayman S broadcasts race car-like sounds as it approaches its 7400 RPM redline. So satisfying is the 3.4-liter boxer engine that it reminds the driver of all the drawbacks of forced induction. Long live the free-breathing motor. The six-speed manual is equally pleasing with its short throws and perfect engagement. For those that prefer a two-pedal setup, the 7-speed PDK – Porsche’s lightning-quick-shifting dual-clutch gearbox – is available. Equipped with the PDK and optional Sport Chrono package, you get launch control that knocks a couple ticks off of the manual car’s 0-60 time, too. But I never got tired of executing beautiful gear changes with the 6-speed box. Relatively light weight, a low center of gravity, a brilliant optional active suspension and a torque-vectoring differential endow the Cayman S with brilliant reflexes. Even the electric power steering is commendable, delivering good on-center feel and plenty of feedback. Although the ride of the Cayman S is not soft even in the Normal suspension mode, I clicked off a couple hundred highway miles with no discomfort. 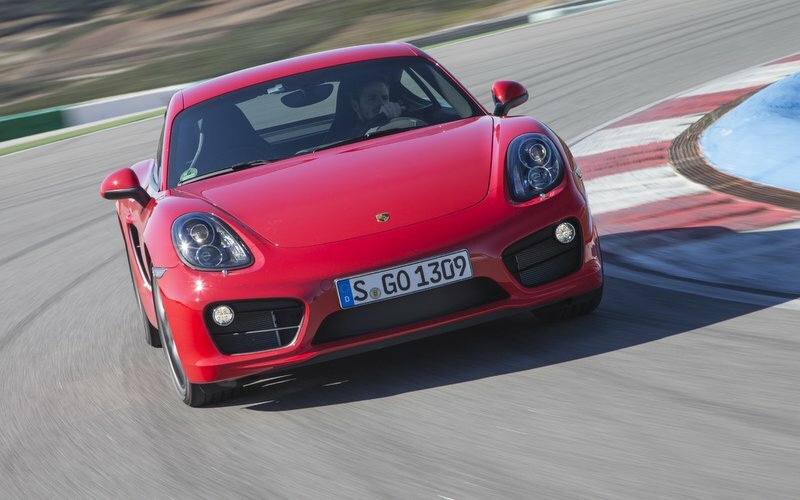 The 2014 Porsche Cayman S is reasonably practical for a two-place sports car. The front trunk swallowed up a garment bag and some photo equipment on a short road trip, and there’s more cargo space under the rear hatch. Although I don’t need it, passenger space appears accommodating to taller drivers. Most of the Cayman’s high-tech features are dedicated to performance, but infotainment and driver assistance features are available, too. The test car was equipped with navigation as part of the $6,730 Infotainment package that also brings stellar sound from a Burmeister premium audio system. Also available as a stand-alone option are front and rear parking sensors. With a base price of $63,800 plus a $950 delivery charge, the 2014 Cayman S is an excellent value if not an outright bargain. But like so many of the world’s best cars, adding the equipment you want can have a big effect on the bottom line. The final price for the decidedly richly equipped test car came in at $88,835. That means 27% of the test car’s price pays only for optional equipment. For less than $5,000, Cayman S buyers can add the Sport Chrono package, the torque-vectoring differential and active suspension. These performance upgrades are where I’d spend my money. 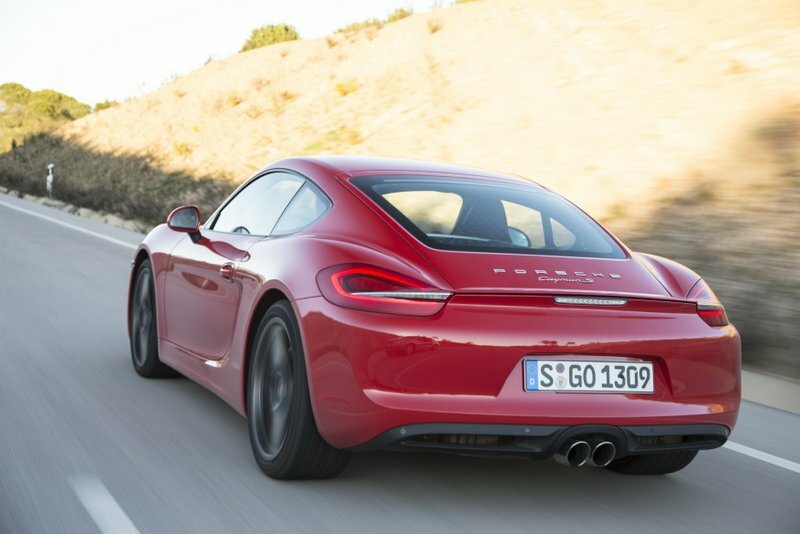 And because the 2014 Porsche Cayman S is so outstanding, you should, too.